The city of La Paz in Bolivia is the highest city in the world with an altitude that ranges between 9,840 ft to 13,450 ft. 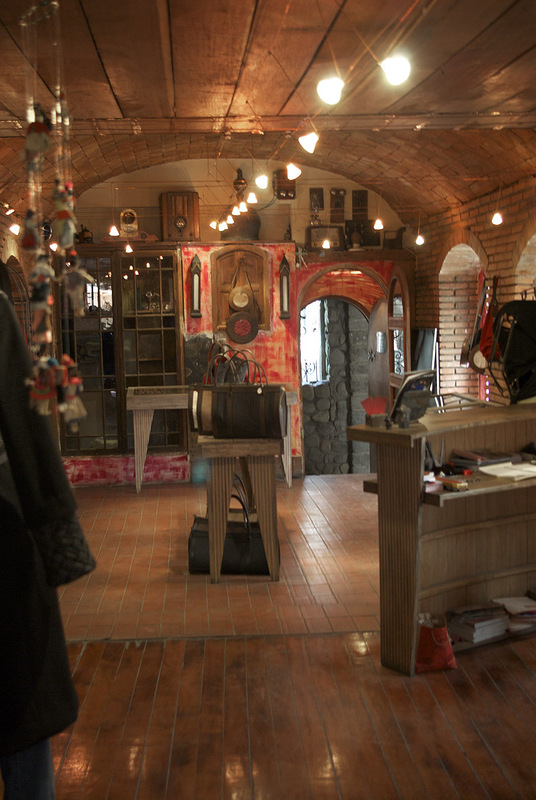 Right there is a great store called Gitano Urbano which is a great store owned by a couple who traveled all over Europe and decided to open a store that represented the work of local designers. he store reminds you of a store in cities like NY and Chicago where buildings are made of brick and take advantage of it when it's exposed. 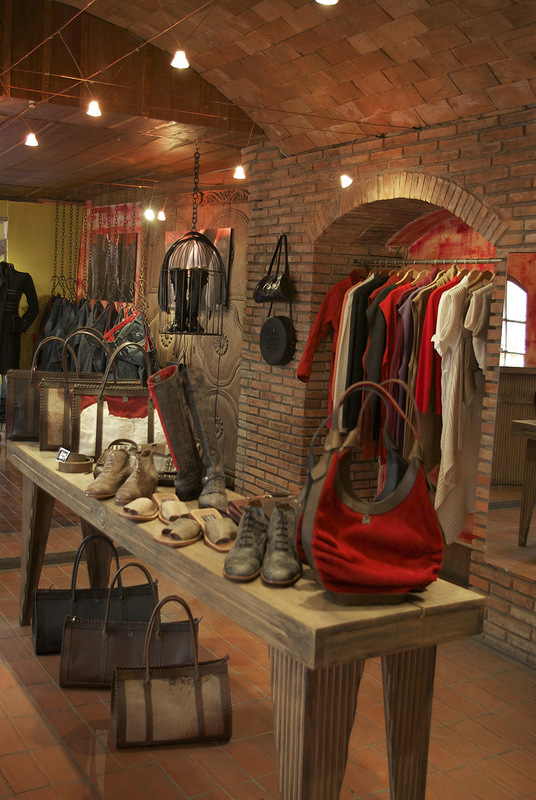 all the items are modern but they are made with the best quality materials with the young and modern clientele in mind. 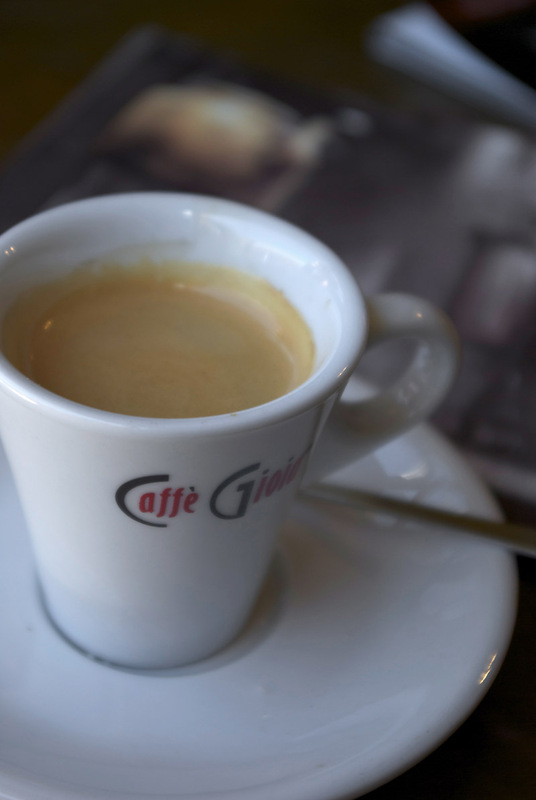 The owners of the store have thought of everything because they also incorporated a little coffee shop to it so you get to enjoy the whole experience when you shop there. Have a great day and if your shopping buy something that brings a smile to your face! Would love to have this in my town! The shop looks so cute! Thanks for leaving a comment :) I will be following! How fun! I love your advice about buying things that make you smile. Too often I buy things because they are either on sale or because I think I should need it. Sigh. Now that's more like it! A coffee bar in a clothing store.. genius!! I always get so thirsty when shopping, so this is the ideal solution. Beautiful photographs! What a great way to shop! These pics are great! It does remind me of a store downtown - or even anthro, in a way! Great photos too! awesome concept for a shop! i'm all about local designers. makes me want to get out and shop! What a great looking store! And I love that you can find even find a great espresso in the highest city in the world! What a cute little store! Great idea to include coffee. I want to visit this place someday! I love this! Someday I will visit here! 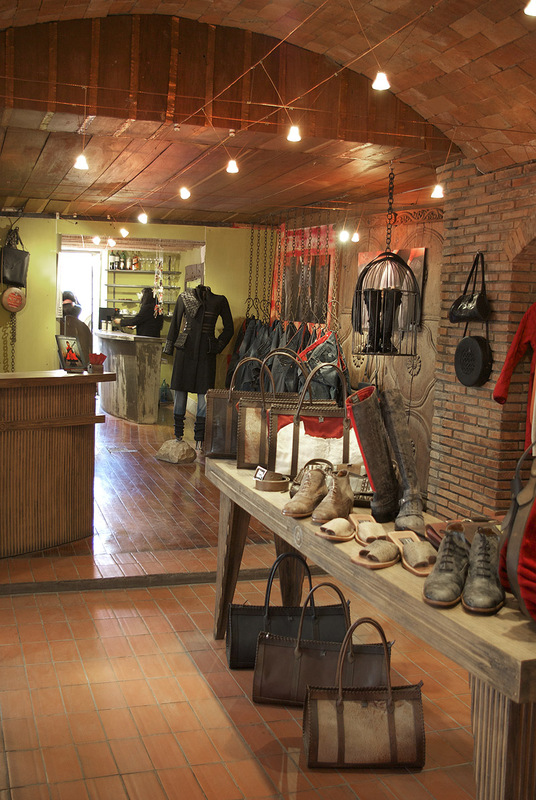 I love the rustic look of this shop. Especially the bird cage with the boots in it! what a great store!!! and your blog is amazing! i am so happy to have discovered it. Thank you for your comment on my blog yesterday. Have a lovely day!! This looks like my kind of shop, coffee included! What a quaint, little shop! So full of character. Oh how I love this quaint little store. I want to shop there right this instant! Those boots on the table look like something I would wear. what a fabulous spot. thanks for sharing anabel's gorgeous photos. This store is amazing! I'd love to take a little vacation and go shopping there. And coffee? I might not leave. Oh wow! That looks like such a fun place to shop! Oh, a shop after my own heart! I love exposed brick. 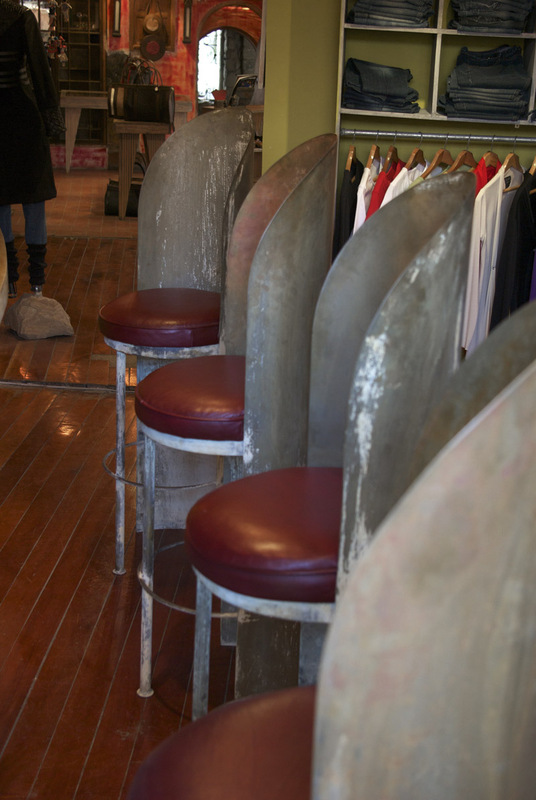 Those great galvanized chairs are charming, too.